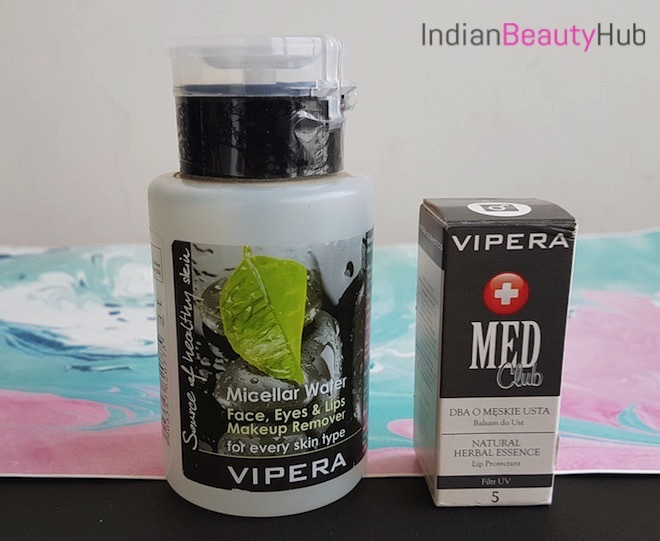 Vipera Micellar Water: It is enriched with natural ingredients including green tea, eye brite herbal agent, herbal betaine and algae derived from the cleanest ecosystems and mineral substances. These high quality ingredients penetrate deep into skin layers and are essential to preventing premature ageing of the skin, reducing wrinkles, creating smooth and healthy looking skin. 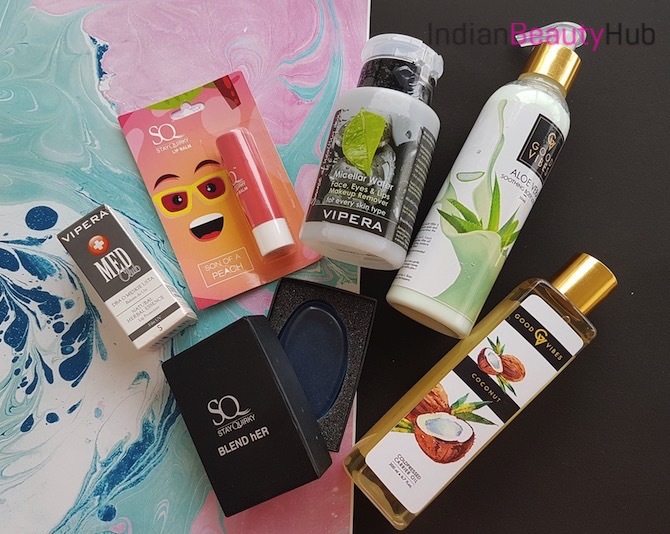 Price – Rs.900 for 150ml (Buy Here). 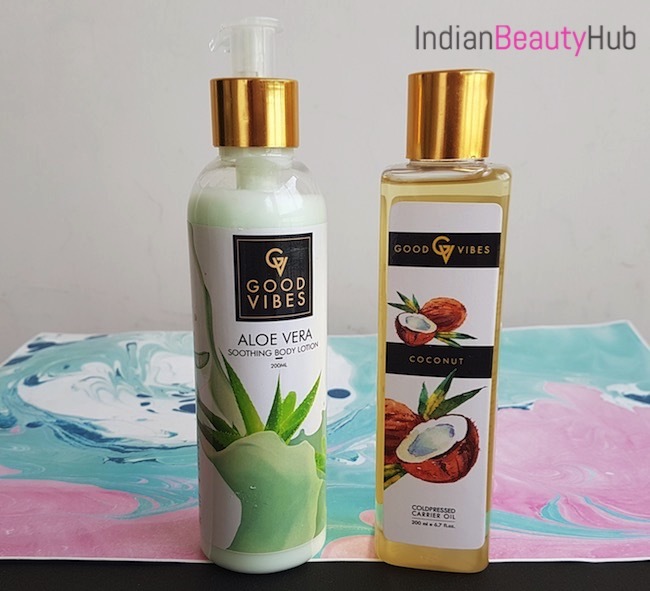 Good Vibes Soothing Body Lotion Aloe Vera: It provides an intense moisture for the skin without giving it a greasy feel. It is infused with amino acids, minerals and antioxidants that deeply nourish and moisturize the skin. 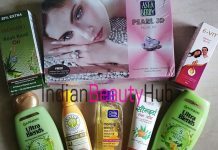 Price – Rs.195 for 200ml (Buy Here). Good Vibes Coldpressed Carrier Oil Coconut: It helps to increase the skin’s antioxidant levels and slow down skin ageing. It is also an excellent moisturizer and can be used every day after bath for smooth & soft skin. It helps to treat skin problems like psoriasis and also helps to speed up healing of damaged tissues. 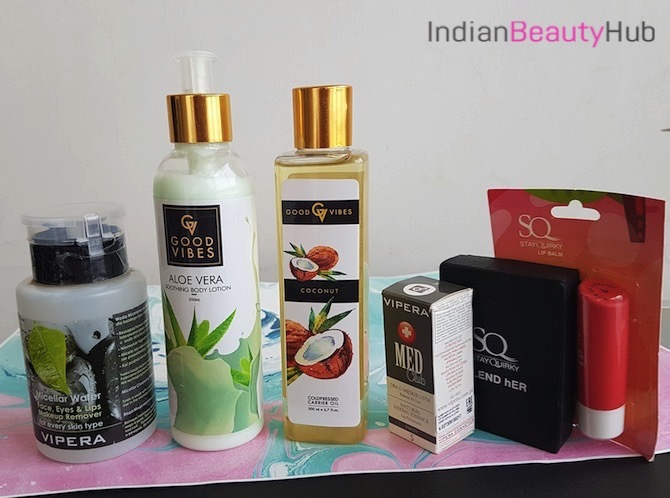 Price – Rs.315 for 200ml (Buy Here). Stay Quirky Blend Her Make Up Perfector Sponge Silica Gel Puff: It gives smoother finishing across curves and bends, even coverage and a truly well done base. It works just with everything like primer, foundation, BB, CC etc. 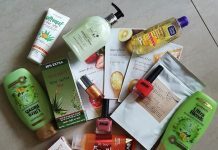 Price – Rs.245 (Buy Here). 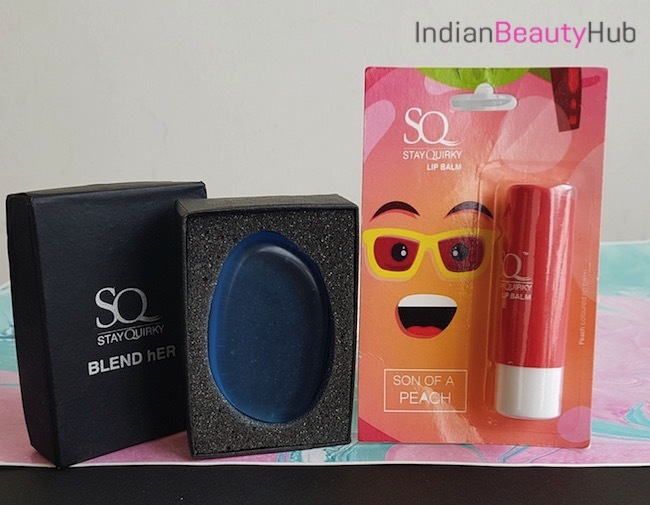 Stay Quirky Lip Balm Son of a Peach: A tinted lip balm that contains Vitamin E which rejuvenates the lip giving soft and supple lips. Price – Rs.155 (Buy Here). Note – These products were sent to me by Purplle.com team for the reviewing purpose. If you are interested in any of the products I have received then head over to Purplle.com. They offer a huge variety of products ranging from makeup, skincare, haircare, grooming and much more.